The global market is hungry for the lifestyle pickup trucks and among many popular and well-known brands, there are several not so recognizable which also investing in this growing segment. 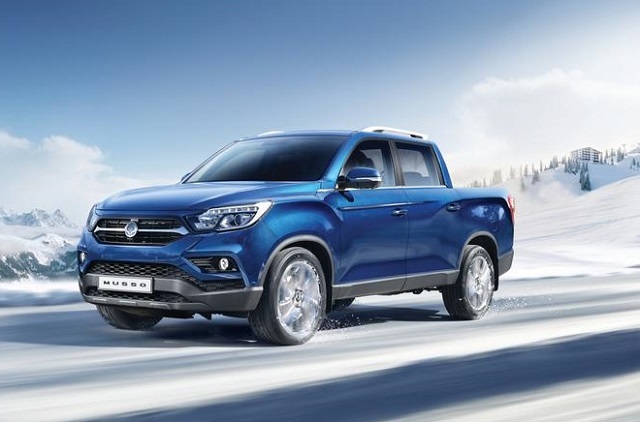 South Korean company SsangYong recently offered the updated Musso pickup truck and the newest version of this model has everything buyers demand. This modern truck has the sleek design inside and out and also offers plenty of high-end conveniences and tech features. It has great infotainment system but also provide the capability buyers need. The diesel engine is refined and efficient and the truck can tow as the class leaders. The firm offers this truck in markets worldwide and the model will soon appear as the 2019 SsangYong Musso version. This version comes a year after a thorough update and won’t bring substantial changes. There will be some changes in the equipment organization and we should expect several new options like new color choices and wheel design. The firm will likely offer the special edition version to get more attention while also promised further upgrades for years to come. 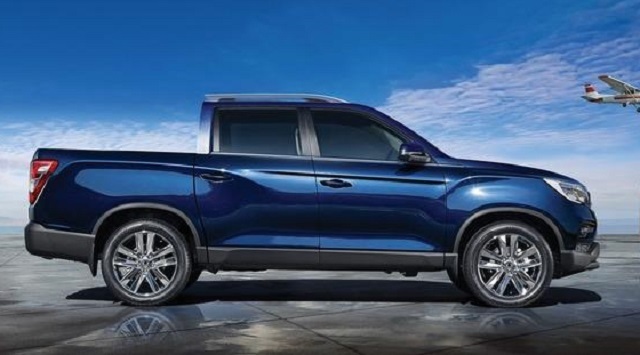 Just recently SsangYong announced the all-electric pickup truck derived from the Musso model. This electrified version should debut around 2020 and the company promises the range of around 450 km with the two-motor powertrain. The 2019 SsangYong Musso won’t bring much new on its styling. Expect to see new body colors in the combination with the new wheel options while the special edition model might also appear. After the recent update, the Musso is fresh in every aspect and more updates will appear in later models. The Musso truck shares the architecture with the company’s flagship Rexton SUV. The body-on-frame platform, like all modern trucks, uses the high-tensile steel to maximize structural rigidity and reduce weight. The model also has modern styling which mixes elegance with rugged cues. It is the latest brand’s design language called Nature-born 3 Motion. The six-sided grille and SUV-like front bumper provide sleek look from the front perspective and attractive headlights with C-shaped signature lighting add to appearance as well. The Musso also has attractive lines on the hood and subtly sculpted fenders while dynamic lines stretching over fenders and door panels. The truck also offers different wheel styles and sizes with available 20-inch units. The interior of the model is also clear and elegant design with well-organized controls and maximizes the comfort with the dual-cab style. The sound insulation is also well-done and supportive seats will provide a long-ride comfort. The truck also offers high-end equipment matching the offer of the class-leading models. The model can be had with the heated and ventilated front seats and Nappa upholstery is also available. More highlights include heated rear seats, rain-sensing wipers, heated steering wheel, Wi-Fi connectivity, side steps, etc. The model also includes the modern infotainment system with the giant 9.2-inch center touch screen while another 7-inch screen takes the position between the gauges. The system supports Apple Car Play and Android Auto features and model is also strong on the safety side. It has six airbags, rear vision camera but lane departure warning, blind-spot monitoring with rear cross traffic alert and 360-degree camera as well. The new Musso offers more than one need regarding the convenience and tech features but is also capable to tow like the champ and deliver pleasant ride quality. It has high-tensile steel chassis and the coil-sprung rear axle which debuted on the Nissan Navara. For the power and efficiency, the 2019 SsangYong Musso will rely on the modern 2.2-liter turbo diesel engine. The eXDo220 powerplant makes 180 horsepower at 4000 rpm. The max torque is 310 pound-feet from 1, 600 to 2, 600 rpm. The engine comes with two transmission options and either two- or four-wheel drive. The six-speed manual gearbox won’t reach the maximum torque and the Aisin 6-speed automatic will be up to the task. The Rexton SUV’s 7-speed automatic is not available on the truck version. The Musso can also be equipped for the off-road ride and the towing is also competitive. This truck reaches the 3, 500 kg of max towing while the load capacity is up to one ton. The 2019 SsangYong Musso will offer more than average buyer demands plus competitive price and long warranty. Expect the price range to stay close to the current and the model will arrive in 2019.